With help from his beautiful assistant (Eleanor Bron), an eastern cult leader (Leo McKern) attempts to capture a musician (Ringo Starr) wearing a special ring needed to complete a human sacrifice — but the stubbornly magical ring refuses to come off Ringo’s finger. 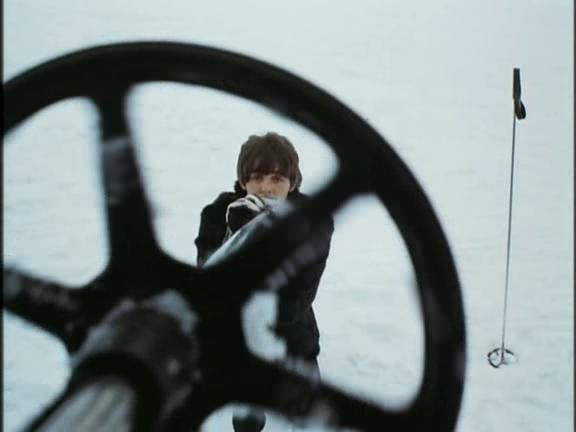 Soon Ringo and his bandmates are also pursued by a pair of fanatical scientists (Victor Spinetti) and Roy Kinnear) hoping to obtain the ring, and the other Beatles begin to question whether Ringo’s finger is worth the hassle. 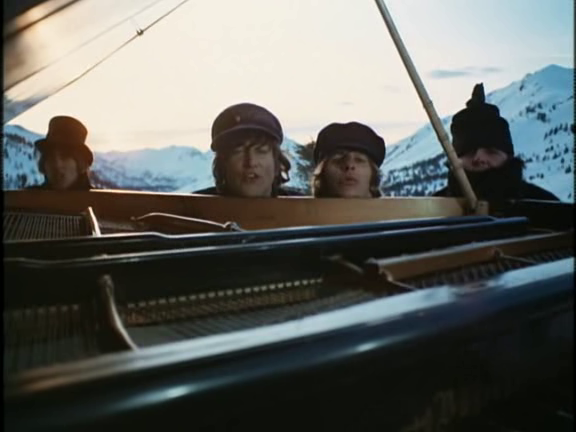 Peary writes that the Beatles’ second film is “full of funny sight gags… and one-liners (‘He’s out to rule the world… if he can get a government grant’)”, noting that the “film mixes James Bond adventure, surrealism (a Beatle even becomes miniaturized at one point), and loopy comedy (much of the slapstick variety).” He asserts that “Richard Lester’s direction is even more outrageous than it was for A Hard Day’s Night,” and writes that the “picture is a lot of fun” but he wishes “it provided more insight into the individual Beatles — in fact, it’s just as impersonal as Yellow Submarine. Unfortunately, the world we see has nothing to do with the Beatles’ real world.” He accurately notes that the “best moments are when they sing: ‘Help!’, ‘You’ve Got to Hide Your Love Away’, ‘I Need You’, and ‘You’re Gonna Lose That Girl'”; and he points out that “the staging of numbers, particularly those set outside, is effective” — with “the ‘Ticket to Ride’ sequence”, showing “the boys frolicking in the snow”, particularly suited to making “a great video”. I’m not nearly as taken with this follow-up film as Peary is; it’s clearly meant to build on the enormous cult success of A Hard Day’s Night but most of the magic is gone (despite — or perhaps because of — attempts to insert literal magic into the proceedings). The plot seems silly simply for the sake of silliness, and the boys’ later admission to being stoned through most of the filming shows: they look loopy and slightly dazed rather than jubilant. 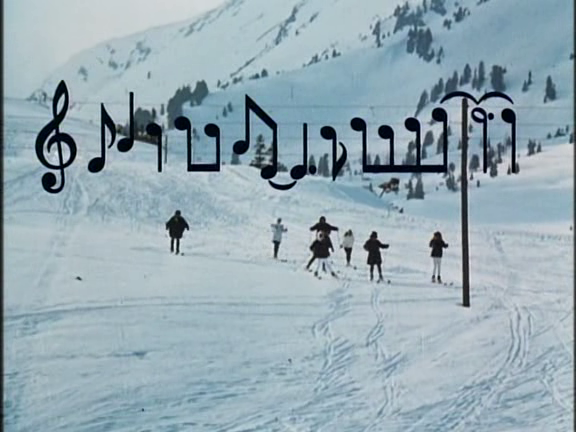 The exception, as noted above, are their musical performances — I do love all the creativity put into filming “Ticket to Ride” in the snow, including the presence of musical notes on the screen at one point (apparently added to cover up power lines in the footage). Paul’s brief miniaturization — reminiscent, of course, of The Incredible Shrinking Man (1957) — is nicely handled as well, though one wishes he did more than just flail around in an ashtray with orange soda. No; only Beatles fans need see this one. A tentative once-must – mainly as something fun, though I will agree that this is mostly for Beatles fans. 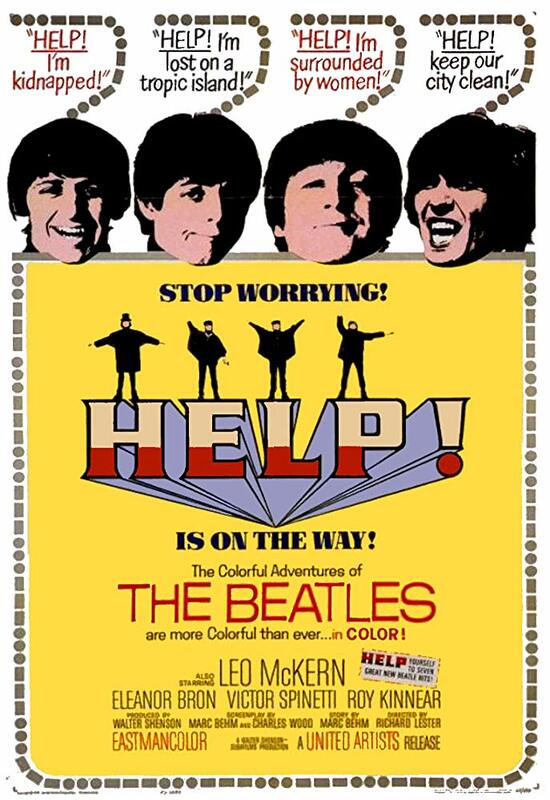 ‘Help!’ often seems to be looked-down-upon, compared with ‘A Hard Day’s Night’ – which seems to remain in high regard. I find that a bit unfair, really. I saw ‘Help!’ again within the last few years and enjoyed it all over again. I like the fact that it’s absolute fluff that has considerable entertainment value. (It’s certainly a plus having David Watkins as DP.) I would probably watch it again at some point. I don’t know that being on marijuana while filming impaired what the guys were doing. It’s not like they were on acid. 😉 To be honest, I didn’t find it that noticeable. 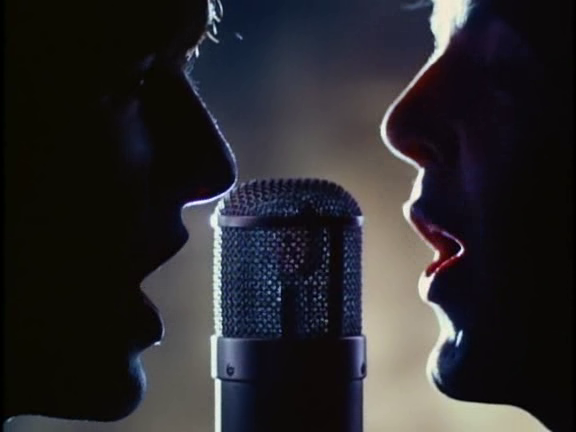 I certainly prefer the songs in this film over those in ‘A Hard Day’s Night’ – not that the latter are bad, but it’s refreshing to hear how the band has progressed and matured as songwriters. All told, a very enjoyable romp, methinks.